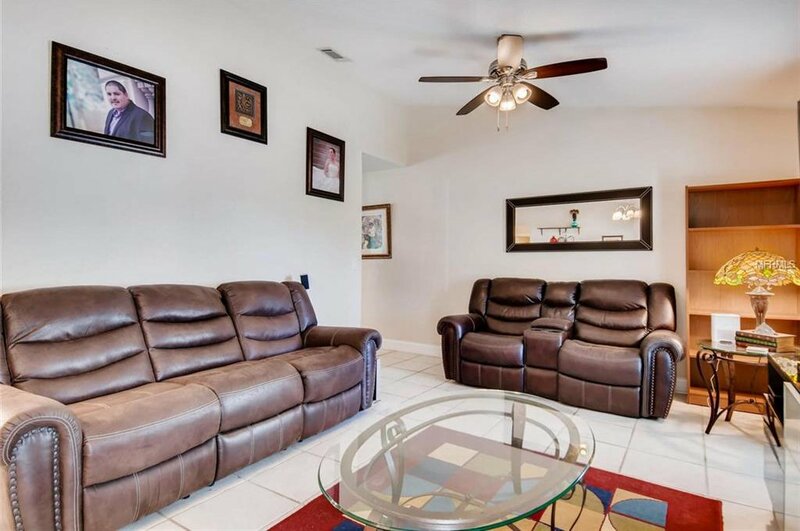 PRICE IMPROVEMENT-SELLERS MOTIVATED. 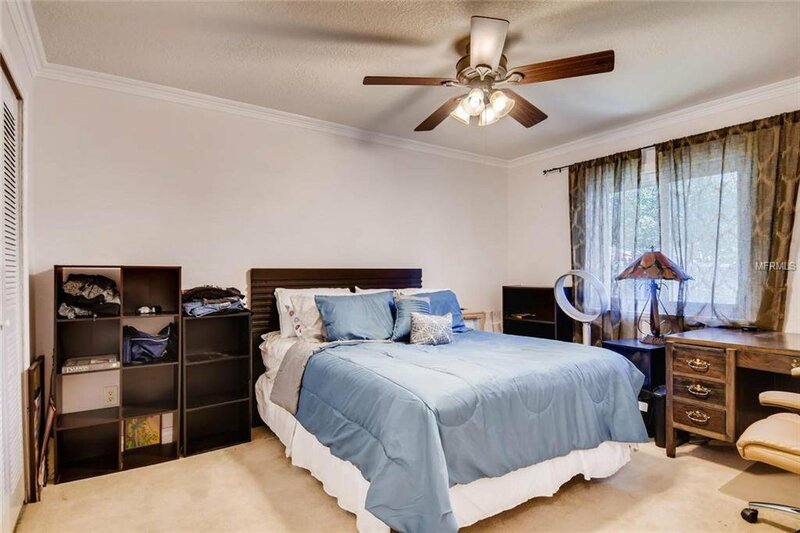 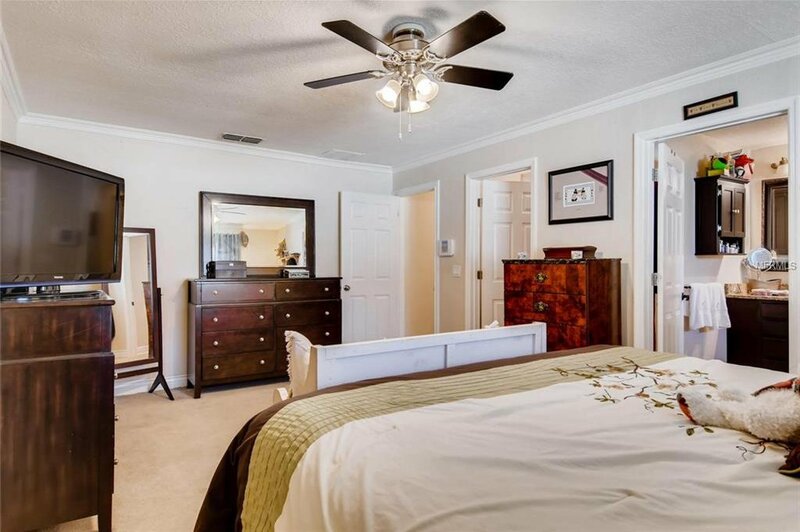 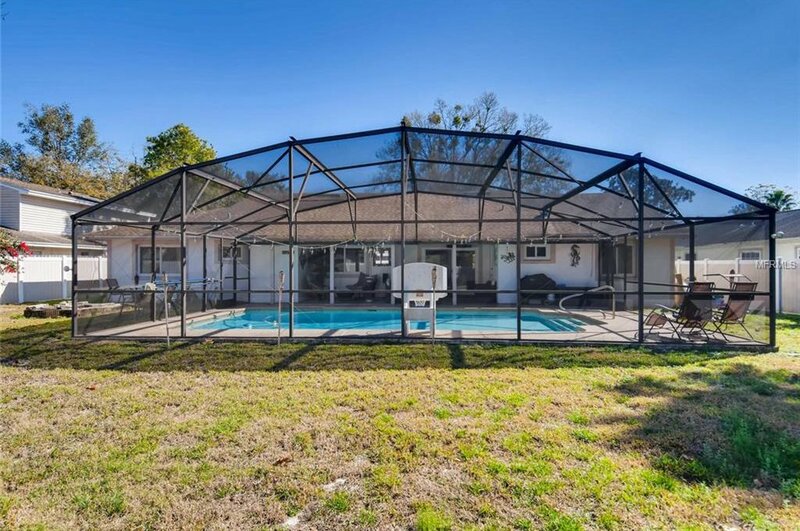 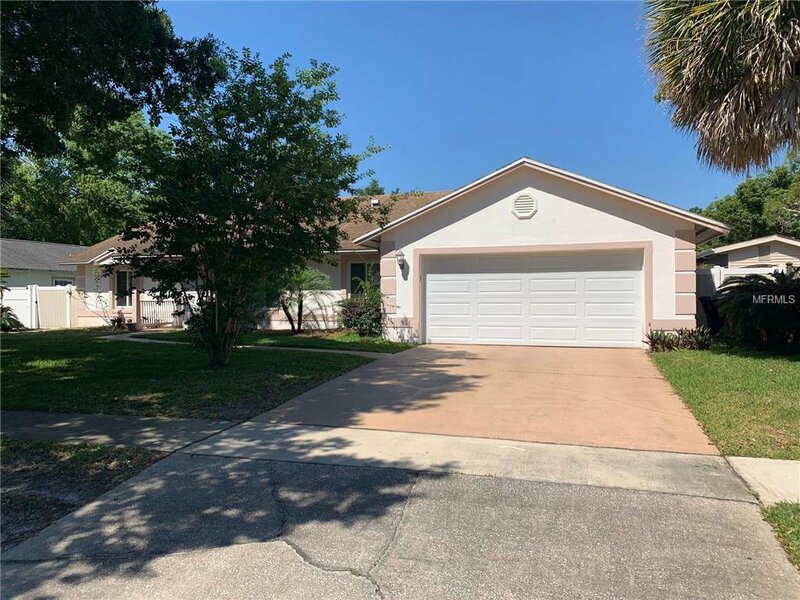 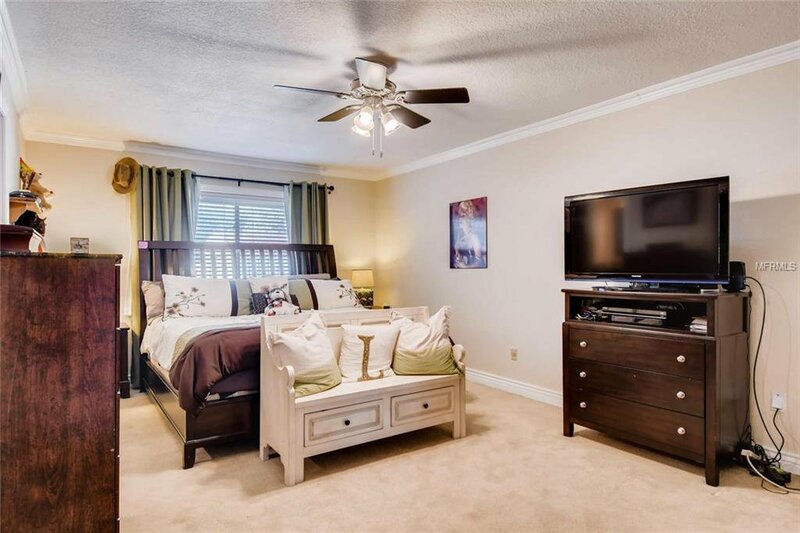 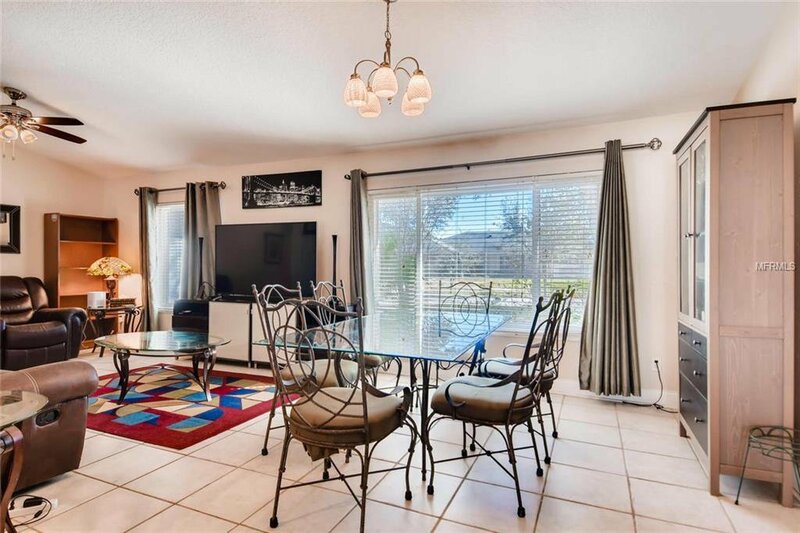 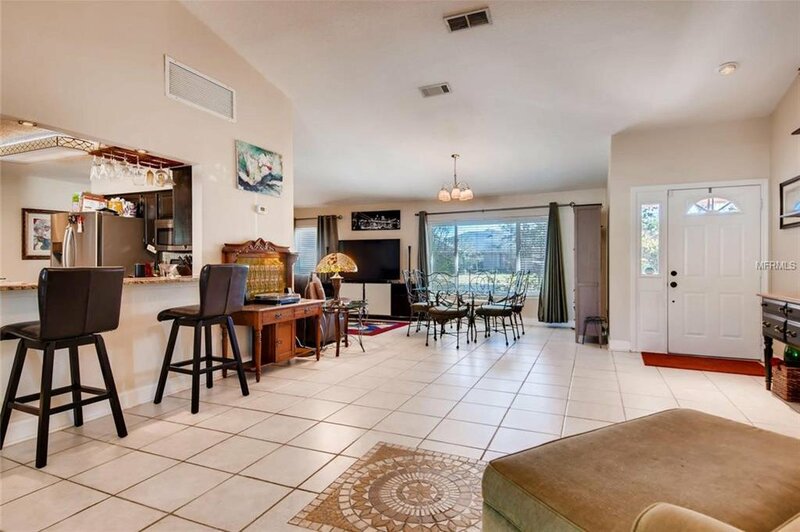 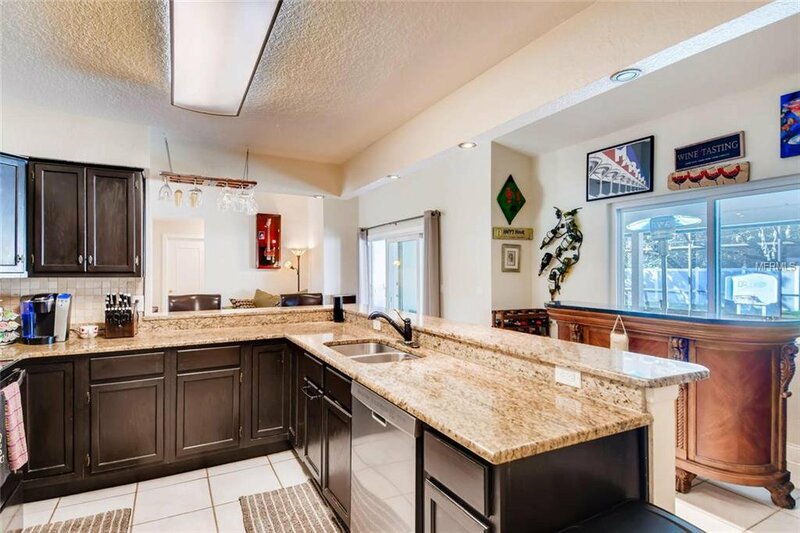 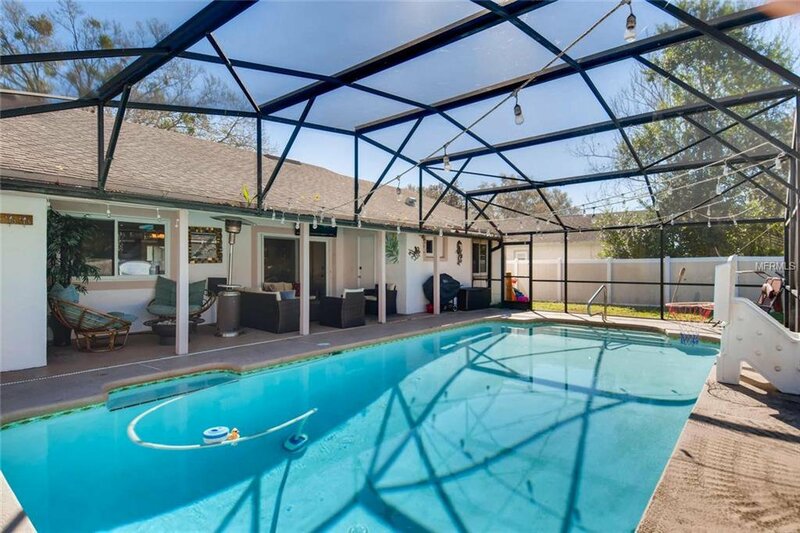 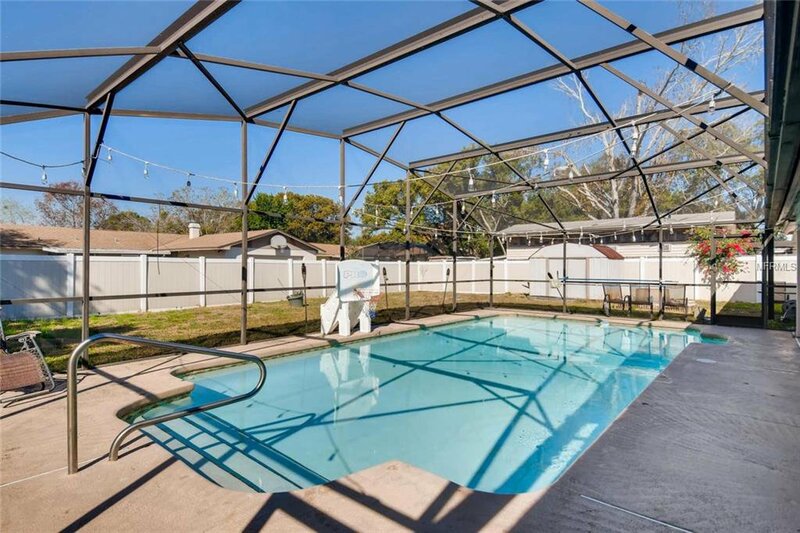 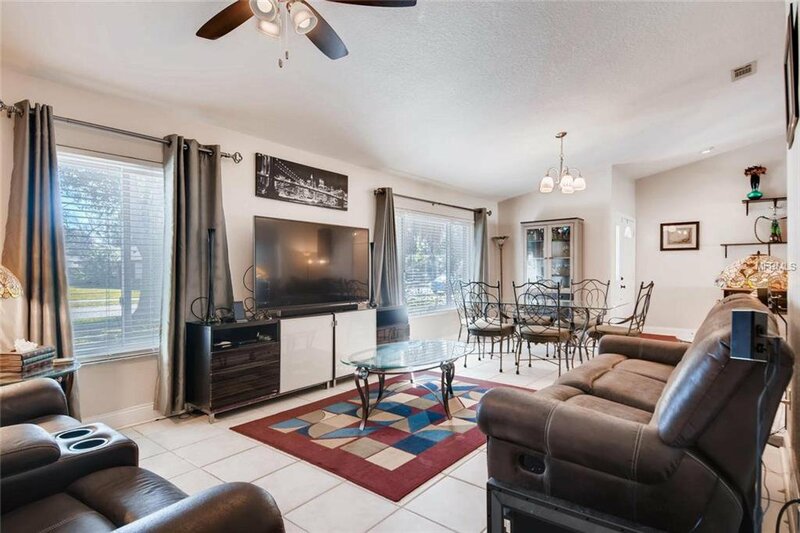 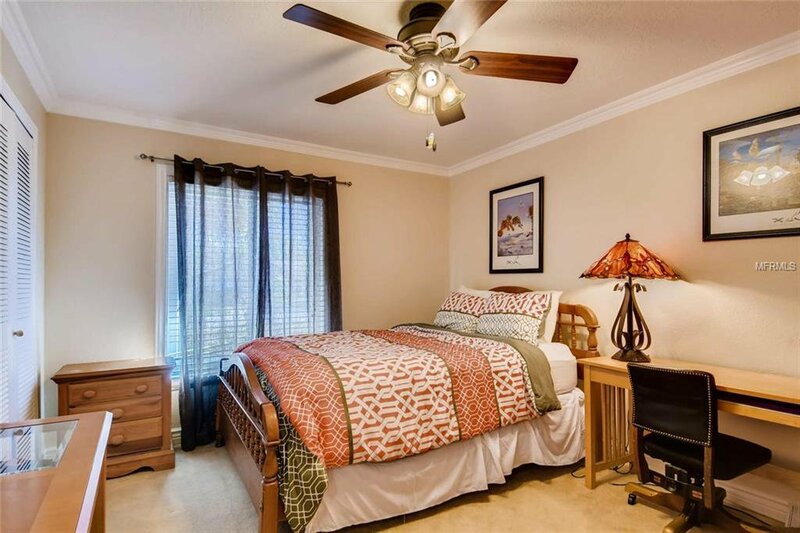 Beautiful pool home located in the much sought after Dr. Phillips area of southwest Orlando. 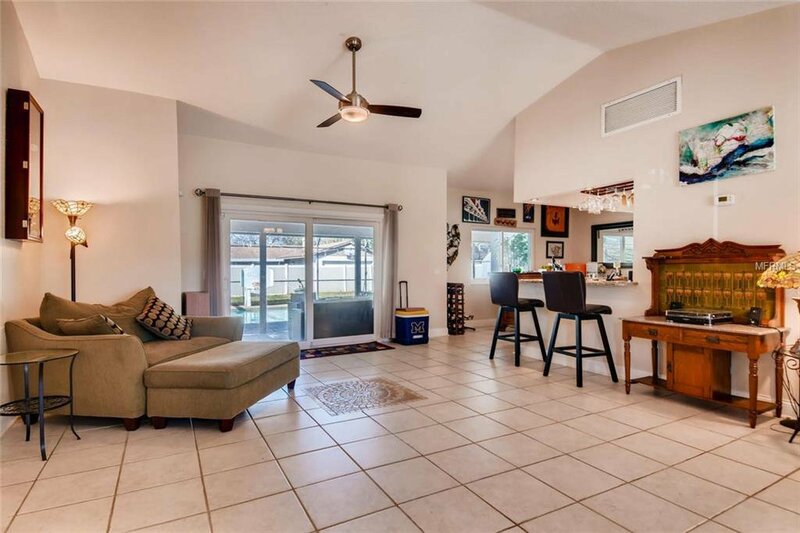 This well designed split floor plan offers very inviting and open living spaces with high vaulted ceilings. 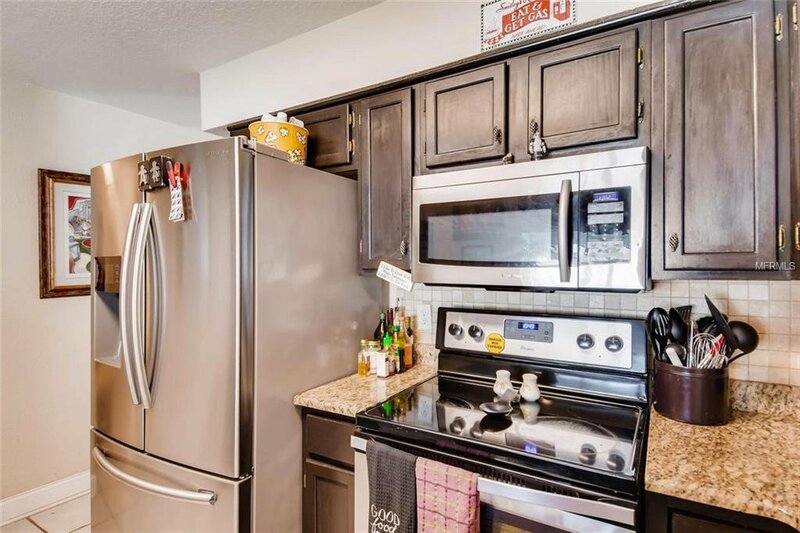 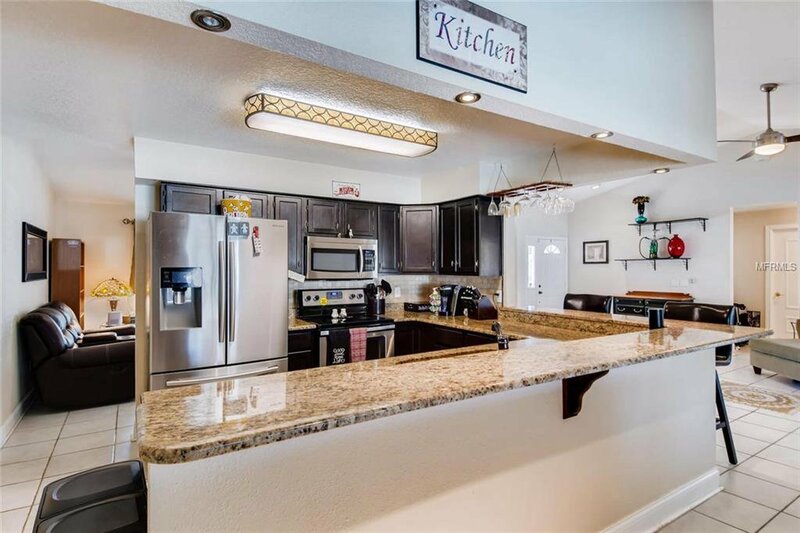 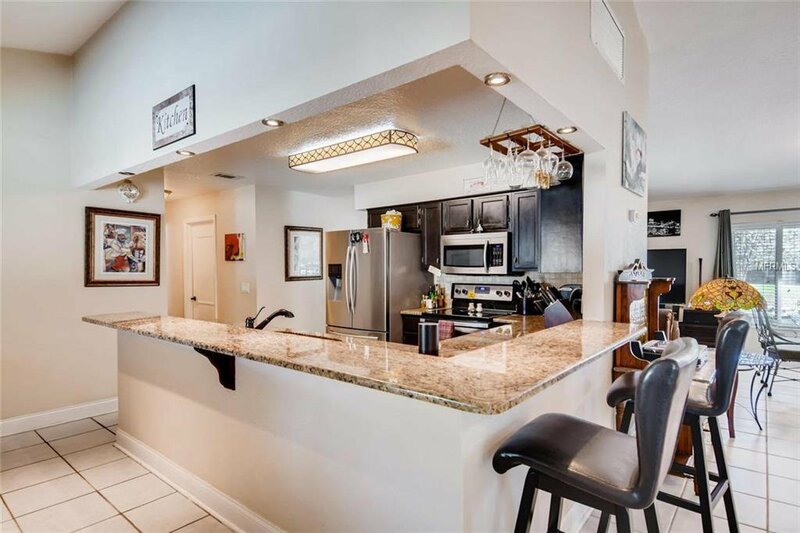 In the updated kitchen you'll find granite counter tops and premium stainless steel appliances. 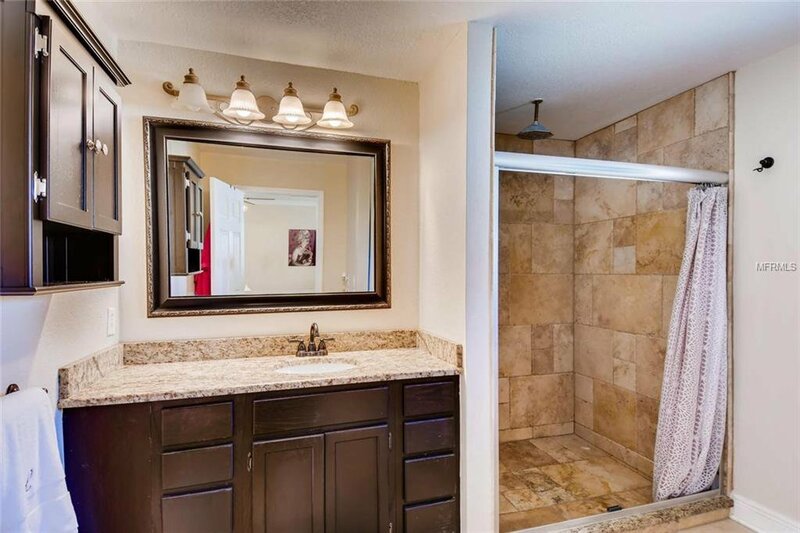 The master suite features a spacious walk-in closet and a tastefully appointed master bath with granite vanity top, travertine floors and dual shower heads (standard and "rain-shower"). 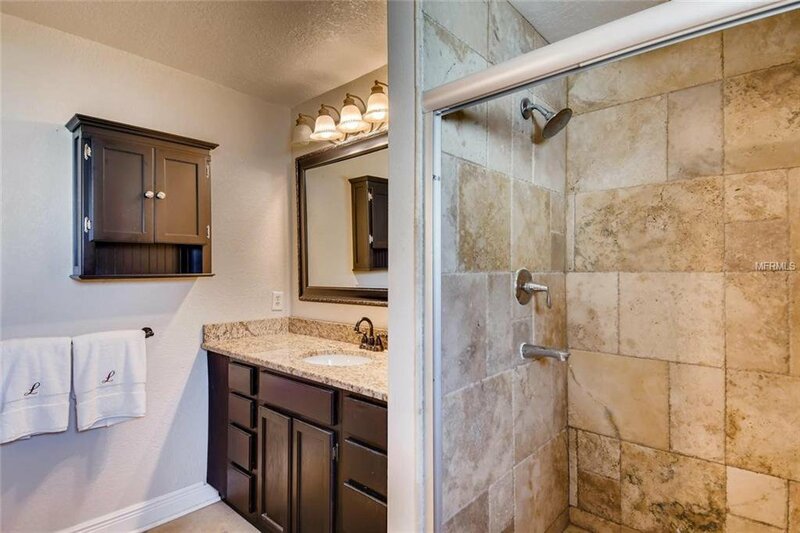 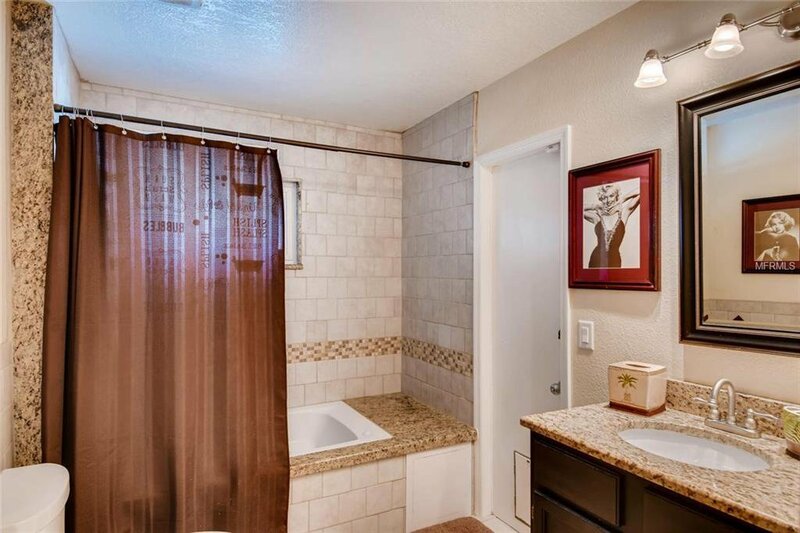 Guest bath features Jacuzzi tub, granite vanity and tub surround. 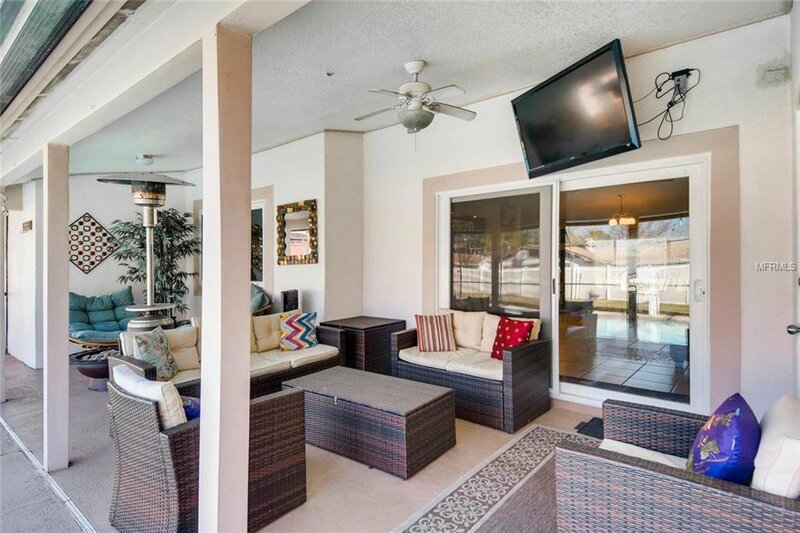 The large screen-enclosed patio boasts a cozy covered living space (with ceiling fan and TV hook-ups) that looks onto the sparkling pool. 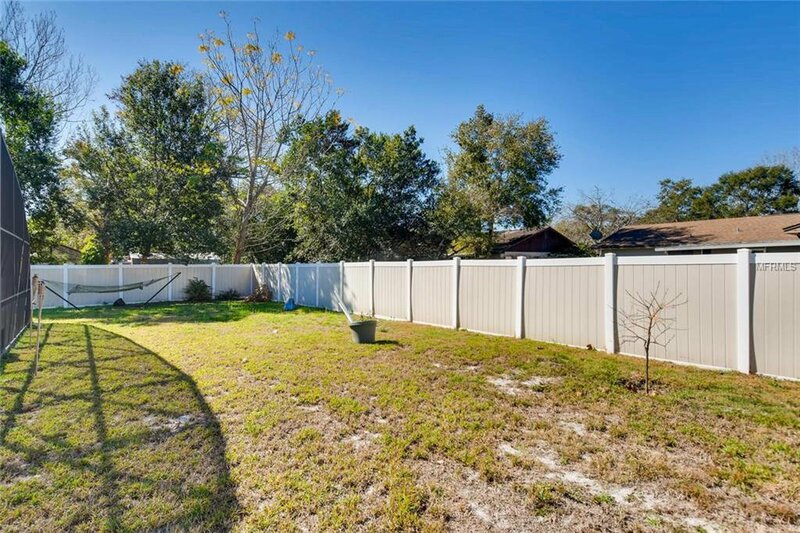 Beyond the patio lies an expansive backyard with a recently installed stylish, two-tone vinyl fence. 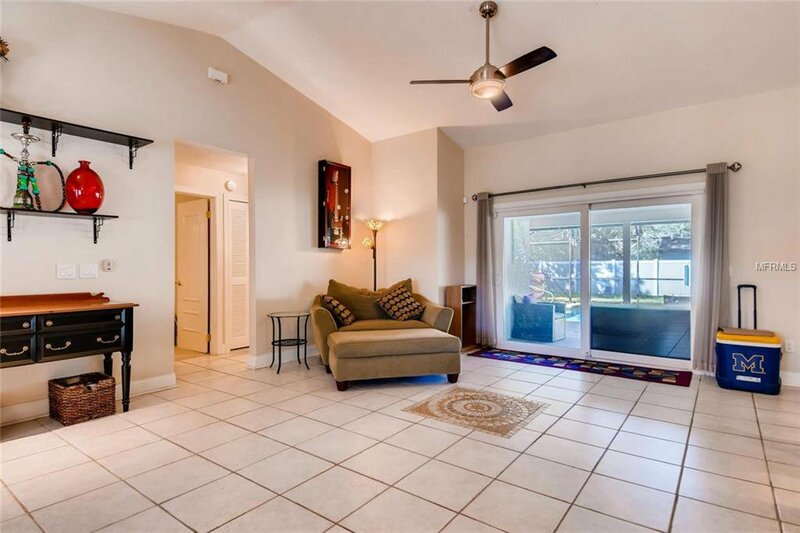 Other recent updates include: new double-pane windows, new ceiling fans, new garage door and opener, new screen panels on patio. 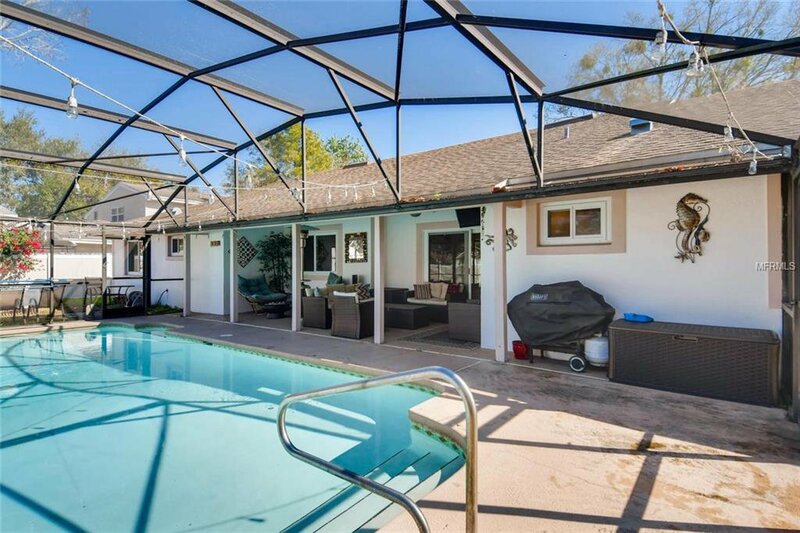 Yeah...NO HOA! 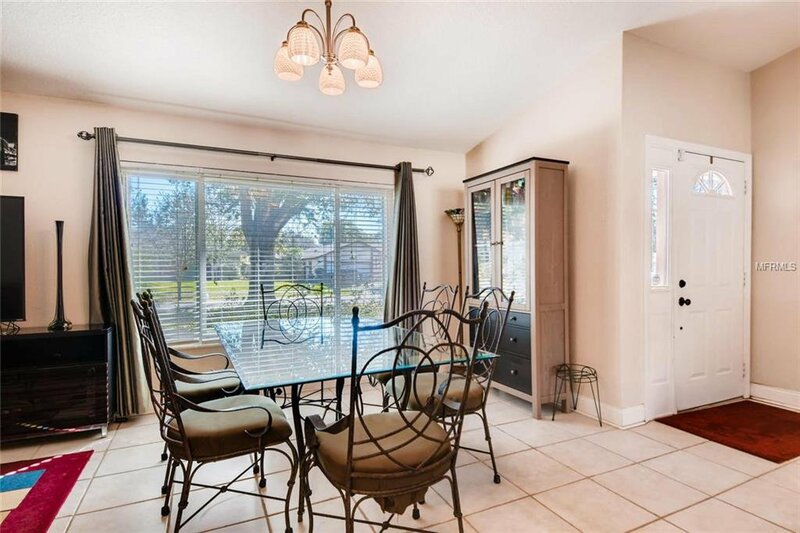 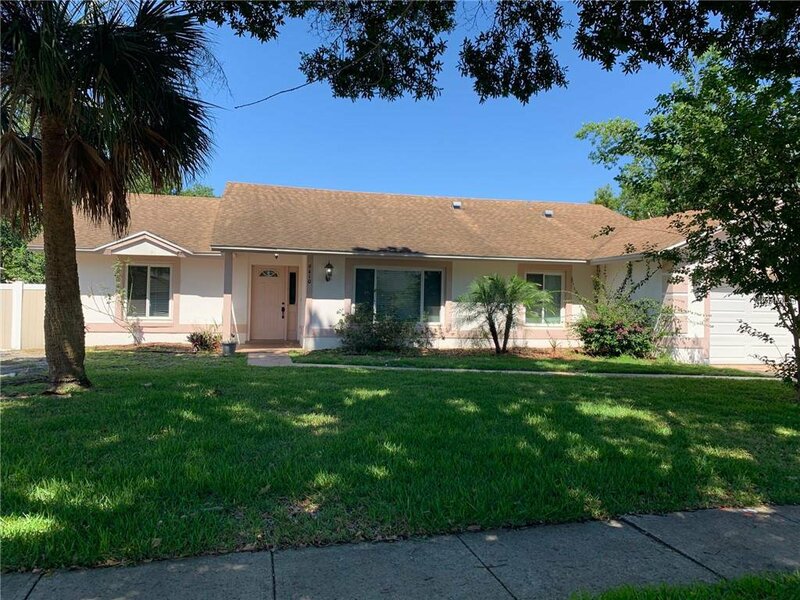 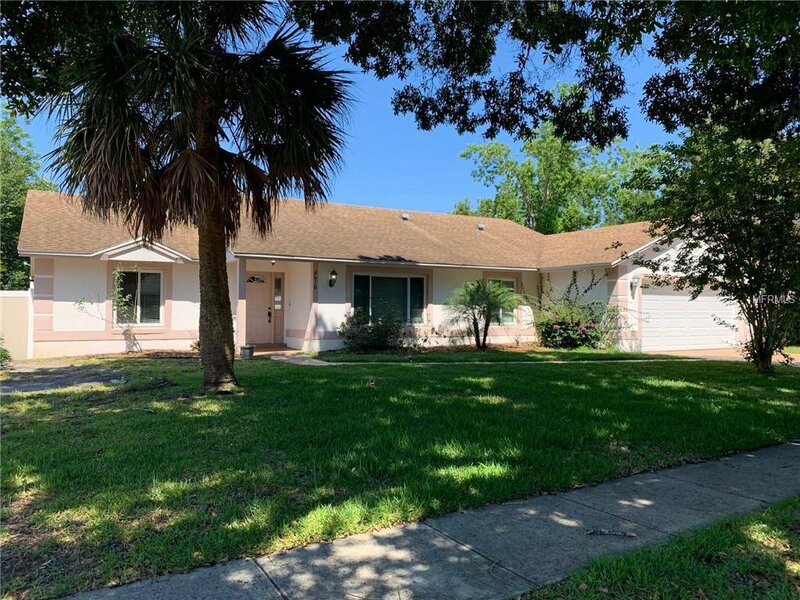 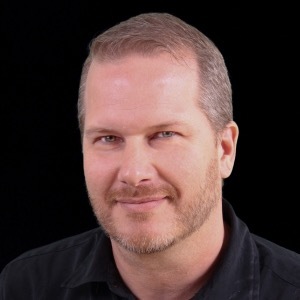 The Dr Phillips area and the 32819 zip code are well know for the best schools and of course the famous "Restaurant Row" with some of the best restaurants in Orlando. 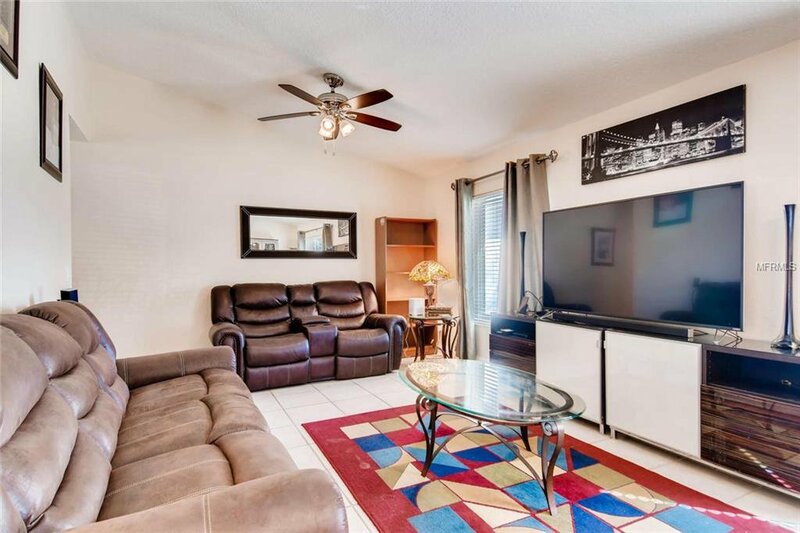 Also located just minutes away from world class shopping at the Mall of Millennia, I-Drive attractions, Universal Studios and Disney.